We all know Ron Burgundy is kind of a big deal! Hence Ben & Jerry’s new flavor inspired by Anchorman, Scotchy Scotch Scotch! 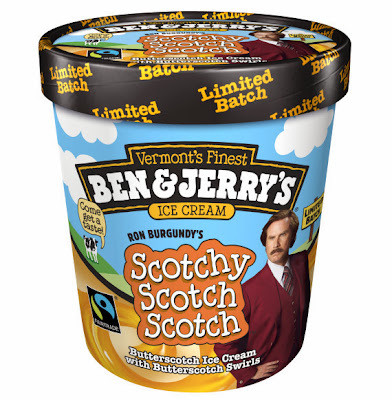 Get some "down into your belly" while you have the chance – the limited edition flavor is butterscotch ice cream with butterscotch swirls. Yum!